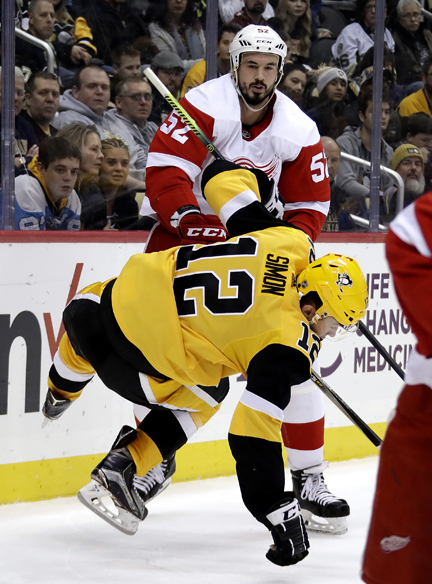 PITTSBURGH — The Pittsburgh Penguins weren’t happy with their lackluster play in the first period after a three-day holiday break. Sidney Crosby and Evgeni Malkin each finished with two assists. Matt Murray stopped 27 shots for his fourth straight win since returning from a lower-body injury. Pittsburgh jumped ahead in the second period with two goals scored in 74-second span.